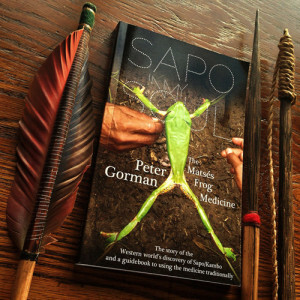 Steve Beyer is the author of Singing to the Plants: A Guide to Mestizo Shamanism in the Upper Amazon. In this interview we go deep into the forest, exploring shamanism, ayahuasca, and the importance of building right relationship. As the weather made a turn for the worse and things got icy, frozen, cold and snowy, I learned that the health of my grandmother and my aunt had also taken a turn for the worse, and that they’d been hospitalized. I asked the universe and I asked the spirits to offer their help in this situation. Shortly after this request, I was presented with the opportunity to do an interview with Jyoti, one of the primary forces behind the creation of The International Council of 13 Indigenous Grandmothers.